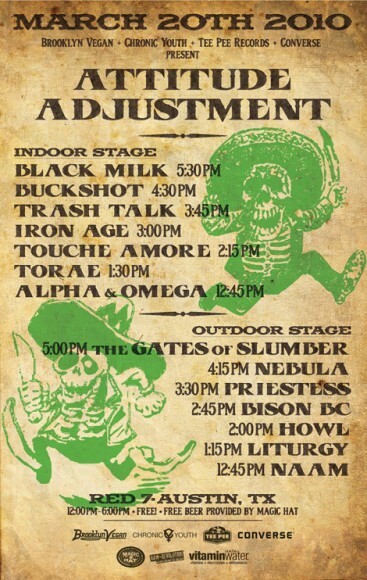 Brooklyn Vegan has announced *another* day party for SXSW 2010. This time, in partnership with Tee Pee Records, the party divides up the roster between metal and hip-hop. The party is free and open to the public, takes place on Saturday March 20th at Red 7 and features Black Milk, Trash Talk, Iron Age, Nebula, Priestess and more.